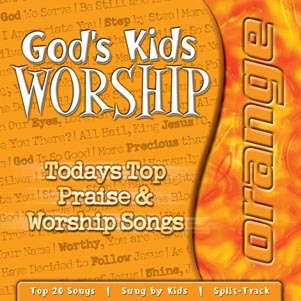 A 20 song collection with an equal balance of well-known, proven classic worship songs, and energized hymn arrangements kids will enjoy and remember. This is a bedrock collection of well-known, well-produced, engaging, God-honoring worship songs, laid out in a manner that makes it easy for anybody to use any time, year-round. Performed by kids for kids, and produced by Grammy and Dove nominated producer, Bob Singleton. Split-track recordings make performance easy. Find out more about split-track recordings here. Also easy to use for children's worship, this CD contains 4 pre-arranged 5-song worship orders; songs 1-5, 6-10, 11-15, and 16-20. Mix and match songs to make your own instant sing-along.